The House speaker is pushing bills that would restrict local control for Florida's cities and counties on issues ranging from taxation to law enforcement. As he plots a possible run for governor, Florida House Speaker Richard Corcoran is aggressively using the Legislature as a bully pulpit to court conservative voters and restrict powers of cities and counties. Corcoran's election-year strategy is coming into sharp focus as the full House scheduled action on more than a dozen issues in the first week of the 60-day session. They include a ban on so-called sanctuary cities, limits on public subsidies to sports teams, new barriers to local tax increases and higher ethical standards for local elected officials — all bills that restrict municipal power. 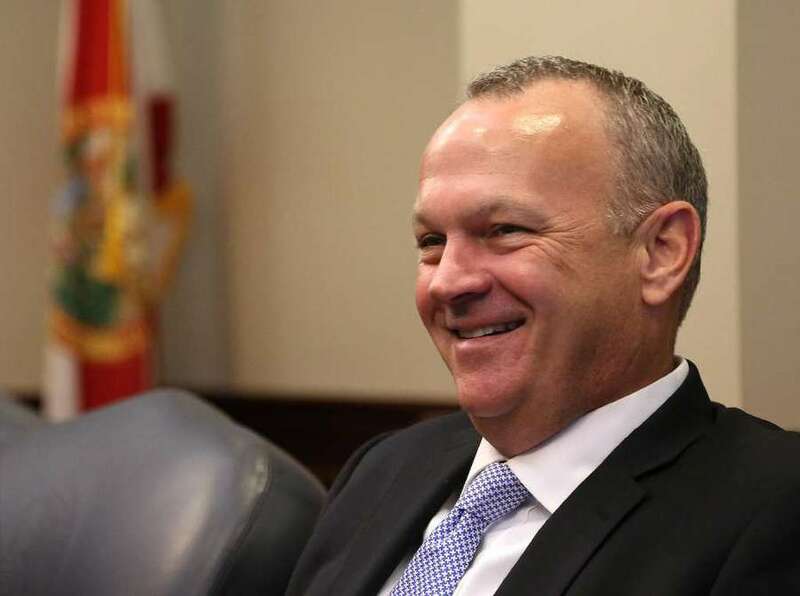 Corcoran, a Land O'Lakes Republican, says his crusade will bring "transformational change." Democrats say it's an extreme ideologically-driven agenda that punishes minorities and immigrants and micro-manages local government. Most of the proposals are not new, and the state Senate is not likely to pass them. So they will never reach Gov. Rick Scott's desk for his needed signature. But Corcoran is primed to fault senators for inaction. "The Senate all too often stymies our progress and reneges on their promises to voters," he wrote in a November opinion column for the Tampa Bay Times. The most controversial item on Corcoran's early agenda, the so-called sanctuary city bill (HB 9), would force sheriffs and police to honor requests by U.S. immigration authorities to hold undocumented immigrants, even though judges have ruled such policies unconstitutional. The bill sponsor says a prime motivation for it was the 2015 fatal shooting of Kate Steinle on a San Francisco pier by an illegal immigrant. A California jury last month acquitted Jose Zarate of murder and ruled the fatal shooting was accidental — a verdict that President Trump tweeted was "disgraceful." Corcoran says his sanctuary city ban upholds "the rule of law." Pinellas Sheriff Bob Gualtieri has called it "flat-out unlawful." Rep. Kionne McGhee, D-Miami, and other Democrats urged Florida colleges and their students to mobilize opposition. They warned of "round-ups and exposure of students to unlawful detainment." 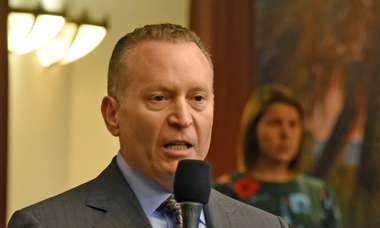 Corcoran claims St. Petersburg provides sanctuary to illegals, citing comments Mayor Rick Kriseman made in a news story. "He basically said that any single illegal immigrant that's out there can come here, and you have a safe harbor," Corcoran said in a Times/Herald interview. "It's an absolute real threat." Kriseman said last February that St. Petersburg was philosophically a sanctuary city after President Trump stoked anxieties among Muslims over his strict immigration policies. His spokesman said Thursday he believes in "a welcoming, inclusive and lawful city" but that St. Petersburg lacks jurisdiction to be a sanctuary city. Immigration advocates turned out at the Capitol Thursday to protest the sanctuary city bill. Some waved signs that said "Health, dignity and justice" in Spanish. Eugenia Echeverria, 26, of Orlando, who came from her Orlando home the night before, said she worries about the future for her two-year-old son Alejandro, who was with her at the Capitol. She and her husband, a construction worker, are undocumented. "I'm fearful that something happens to me or to my kids," she said in Spanish. Corcoran's priorities are greased for easy passage in the Republican-run House, despite vocal opposition from Democrats, who accuse him of pandering to extreme elements of the Republican Party. A second Corcoran bill (HB 13) prohibits sports franchises from building or improving stadiums on public land, an idea backed by Americans for Prosperity, a conservative group that calls such subsidies "corporate welfare." The Rays, in a prolonged search for a new home, may consider a site in Tampa's Channel District/Ybor City, and it would require public money. AFP, bankrolled by the wealthy brothers Charles and David Koch, has more than 2 million members and says it's politically active in 36 states, the largest of which is Florida. 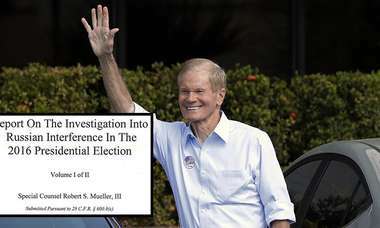 AFP is expected to spend as much as $400 million to influence state elections in 2018, and some of the money will be spent influencing the Florida race for governor. Corcoran was a featured guest last June at an AFP-sponsored event at The Broadmoor, a resort in Colorado Springs, as was Republican U.S. Rep. Ron DeSantis of Ponte Vedra Beach, a candidate for governor. As for Corcoran's political ambitions, he said: "I'd either run for governor or go home. And when I say go home, I mean not run for public office." Democrats, joined by consumer advocates and labor union leaders, blasted Republicans for renewed attacks on home rule powers of cities and counties by "pre-empting" local regulations to the Legislature. Many cities are led by Democrats. Rich Templin of the Florida AFL-CIO said called the Legislature "a one-stop shop for corporate special interests." Other bills on Corcoran's priority list involve health care deregulation, workers' compensation, eliminating red light cameras and extending from two to six years a ban on lobbying by former legislators. Democrats also criticize Corcoran for requiring only one House committee hearing for his must-pass bills, a move that they said undercuts his frequent claim of unprecedented transparency. Corcoran said most of the bills have been debated at length over a period of years. As floor discussion droned on Thursday, dozens of House members were not at their desks. Republicans outnumber Democrats in the House 76 to 40, with four seats currently vacant. Because Democrats won't let Republicans fast-track final votes, the House must return for a Friday session, a sign of rising tensions in the session's first week. Times staff writer Charlie Frago contributed to this report. Contact Steve Bousquet at [email protected] and follow @stevebousquet.